It’s 2017. Topshop AU goes into administration, Jeff Bezos becomes the world’s richest man and growth in online shopping outpaces traditional retail. How can redesigning a retail store drive multi-million-dollar growth? It’s no secret that traditional brick-and-mortar stores have faced their fair share of challenges in recent years. The rise of e-commerce coupled with changing shopper behaviour has signaled a major paradigm shift for the retail industry worldwide. But retail is not dead, or even dying: it’s transforming. And the retailers who survive are the ones who keep up with times. Enter Optus – a company on a mission to push the boundaries of what a telco can achieve. Forging partnerships with the likes of Netflix, Spotify and National Geographic, Optus has established itself as a major player in the entertainment game. 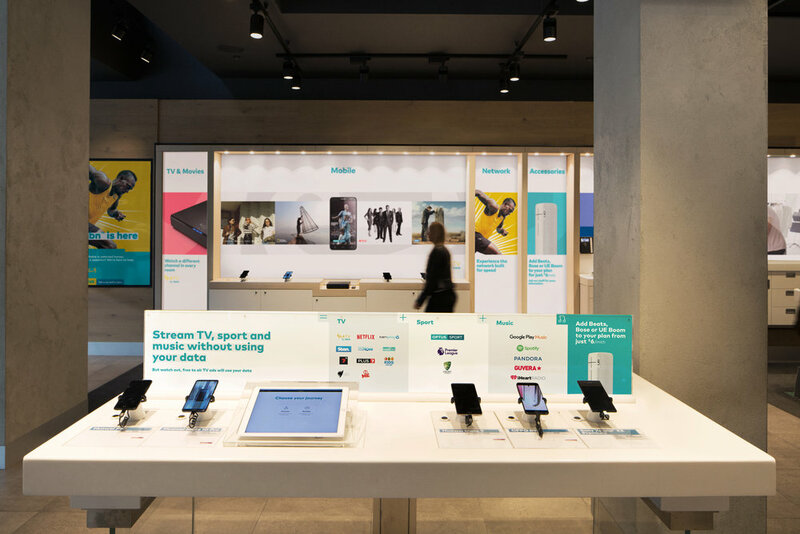 In light of this new direction, Re was tasked with bringing entertainment to the fore of Optus retail and redefining the customer experience across all 380+ stores nationwide. The retail space is challenging in that it’s the one place where all facets of the business come together, from products and deals to partnerships and content offerings. An audit showed the stores reflected this; a collection of isolated offers that created a disjointed experience for customers. Re developed an overarching retail strategy that used our tone of voice principles to achieve different goals on the path to purchase. Hard-hitting offers were strategically placed in the attract zone, dialing up drama in messaging to grab shoppers’ attention and entice them in store. Once over the lease line, the interact phase messaging became more benefit-led and warm, focusing on cross-selling and up-selling by putting bundles, add-ons and accessories in the spotlight. 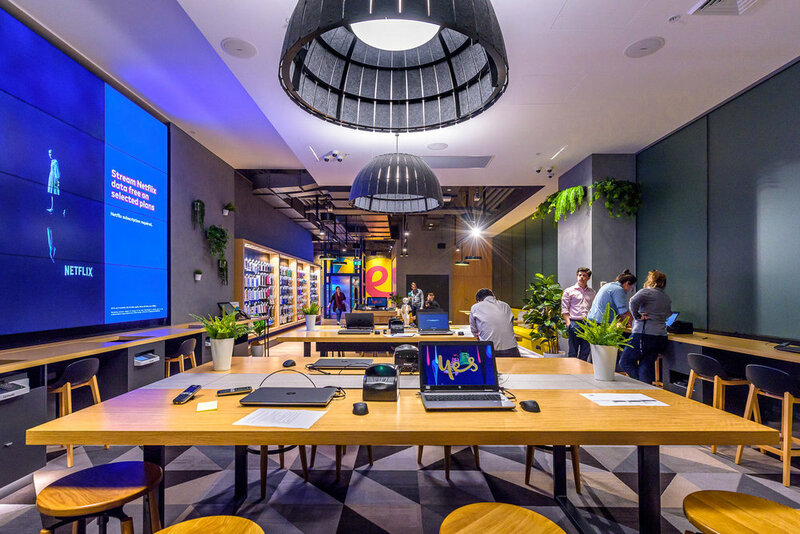 The retail system was put to the test when Optus opened an experiential flagship store just three months after the new concept had rolled out nationwide. Optus on George was designed as a motion-first store, so our challenge was to turn a static system into a digital retail experience. Council restrictions meant we weren’t able to use price-driven offers in the attract zone. Instead, we created a suite of custom illustrations that flanked the front entrance to draw customers in. Once inside, it was important to balance price-driven messages with moments of calm to enhance the premium store experience. The result? You can see for yourself. Optus on George is now open at 383 George Street, Sydney.